Happy Wednesday all! 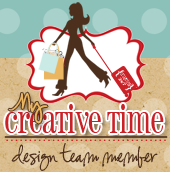 Welcome to another fabulous 3D Wednesday at My Creative Time! The kids are all back at school and things are beginning to get back to normal. (Knock on wood). 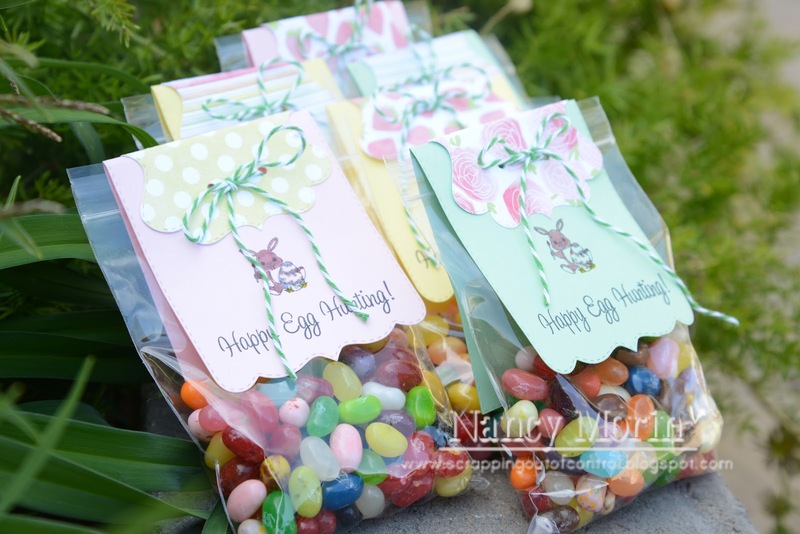 Its almost Easter and I wanted to make some goodie bags for the kids. I got the bags from clear bags.com. They carry a variety of sizes in affordable prices. I used the Card Sentiments with 3x3 Trifold Card Die and the Stitched XL Label Die for my topper. I just folded the die cuts in half and punched two holes for the twine to go through it. My sentiment is from the Happy Hunting Stamp set. The cute little bunny is also from this set. I colored the bunny using my Tim Holtz distress makers. Im not good at coloring but I still think they came out adorable! I hope the kids like them! Now make sure you visit the rest of the design team for more 3D ideas. Thanks for stopping by and big crafty hugs to you all! Cute treat bag great job.....I love cute ideas like this just make the holiday even more fun and special. Super cute, Nancy! The kids will LOVE these!!! 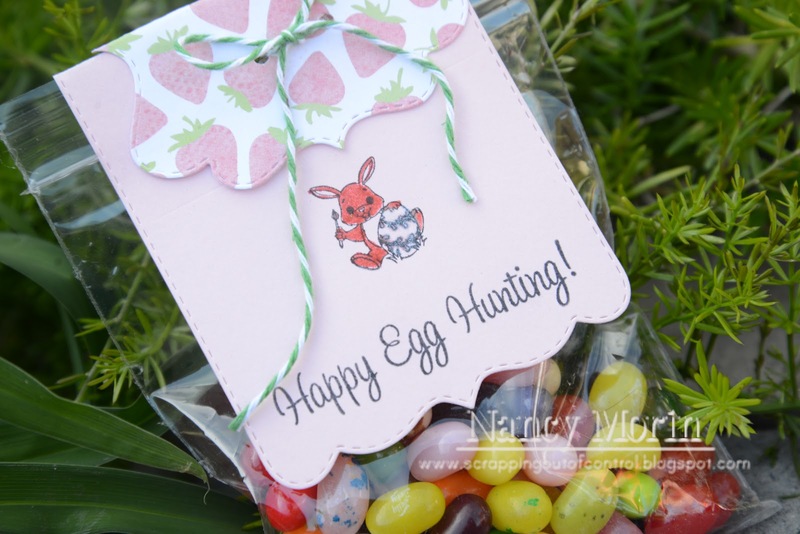 These are so cute and so easy to mass produce:) Thanks for sharing! The kids will love these and they turned out so cute. What a fast fun project. I think it is a great idea. 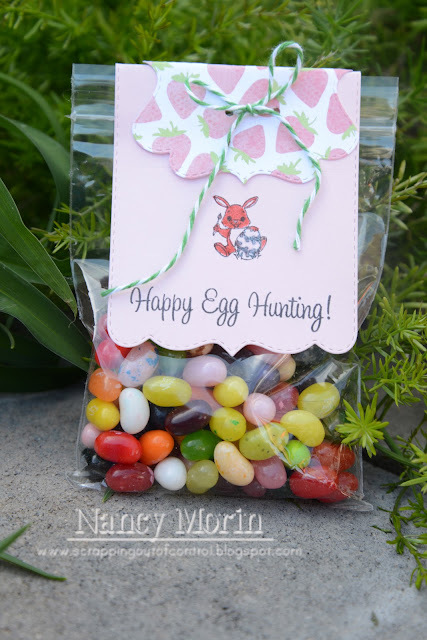 Nancy ~ this is a really CUTE and CLEVER idea! Using those dies with these bags! Of course LOVE the stamps you used too! I must order from that company soon! You just enabled me to do so! GREAT idea! !